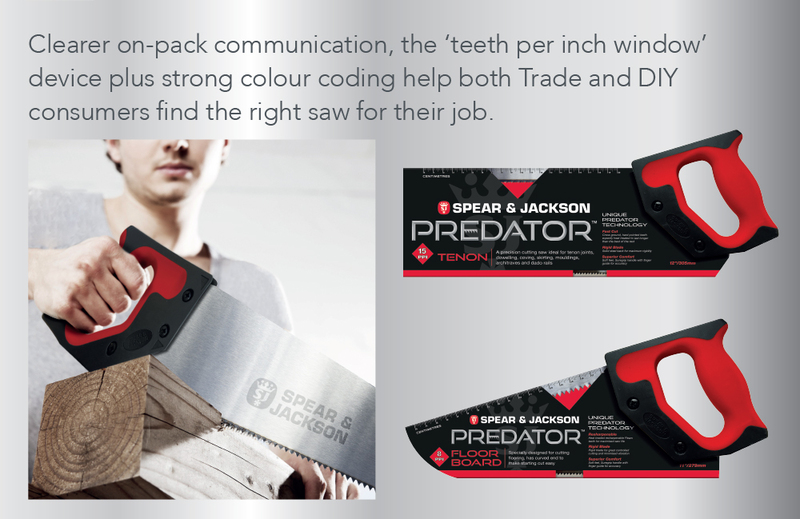 The Spear and Jackson Predator Saw packaging was not doing justice to the quality and heritage of the brand. With inconsistent branding, over colour coding and poor product communication, the range needed sharpening up! Our bold new packs reinforce the heritage of the Spear and Jackson brand and the new Predator identity gives ‘forged steel’ quality cues. Clearer on-pack communication, the ‘teeth per inch’ window plus clear colour coding help both Trade and DIY consumers find the right saw for their task.